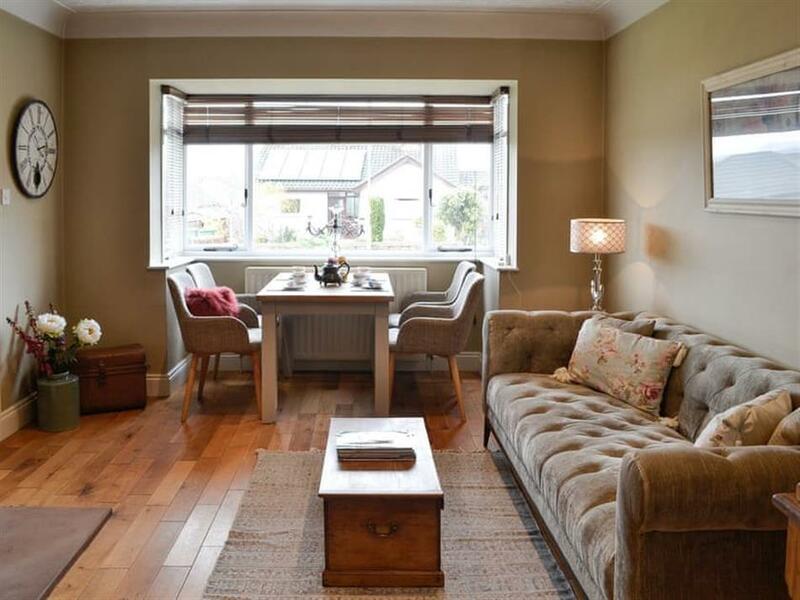 Blossom Bungalow in Penrith, Cumbria sleeps 4 people. 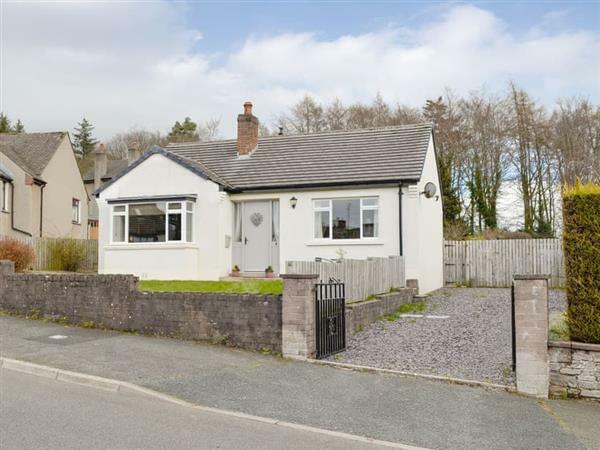 Blossom Bungalow in Penrith is a beautifully presented bungalow which is the ideal retreat to explore the delights of the town centre on foot, just 10 minutes’ walk away. The owners have lovingly furnished each room to offer very good levels of comfort with a stylish twist of 21st century life. Newly listed for the 2019 season it features a bright and open plan living/dining room with wooden floors, contemporary easy seating and a large flat screen Smart TV. This leads to a spacious kitchen with a great range of appliances and good quality fixtures and fittings. Blossom Bungalow can comfortably sleep up to four guests, making it a great choice for couples and families. The bathroom is a real show stopper and the kind you would find in a high end hotel, with quality fixtures finished to a very good specification. If that’s not enough, wait until you see the outside space, it’s a real sun trap and perfect for an afternoon soaking up the sun, ideal for socialising and spending quality time with your family and friends. Penrith has an abundance of pubs serving great food and local cask ales, all types of eateries from bistros and fine dining to sandwich bars and fast food. The main high street of Penrith has a really good range of shops including the usual brands but also has many independent shops and stores for a great shopping experience. If you need to stock up on supplies, the major supermarket is just 1 mile away and you can reach the train station in just 20 minutes on foot offering easy rail links from the north or south. If you so wanted, you could leave the car at home and jump on the train. Penrith is located on the eastern border of The Lake District National Park. If you like outdoor adventure you’ll love the scenery, walking and cycling routes, with lakes and mountains nearby. Ullswater with its famous steamers offers a great day out and the starting point is at Pooley Bridge. If you have younger children, why not check out the Rheged Discovery Centre with children’s activities, outdoor play area and cinema, 1¾ miles. If you like a bit of heritage and culture then a visit to Lowther Castle and gardens is a must, 4½ miles. The shop, pub and restaurant are 900 yards from Blossom Bungalow in Penrith. Step to entrance (level access to rear). Living/dining room: With 40 Freeview Smart TV and wooden floor. Gas central heating (underfloor in bathroom), electricity, bed linen, towels and Wi-Fi included. Travel cot and highchair available on request. Enclosed lawned garden with patio and garden furniture. Private parking for 3 cars. No smoking. Holidays at Blossom Bungalow run from Friday to Friday. For a better idea of where Blossom Bungalow is, you can see Blossom Bungalow on the map below. Blossom Bungalow is in Cumbria; should you be on the lookout for a special offer, you can find all the special offers in Cumbria. It's always worth checking to see what is on offer at the moment. Do you want to holiday near Blossom Bungalow (UK11116), you can see other cottages within 25 miles of Blossom Bungalow; have a look to find your perfect holiday location.